A modern unfurnished detached villa comprising lounge, modern fitted kitchen,dining room 4 double bedrooms, bathroom, wc,utility and garage. Heated by GCH and garden and conservatory sure to appeal. Ideal family home in quiet residential pocket close to airport and motorway and offering good transport links. 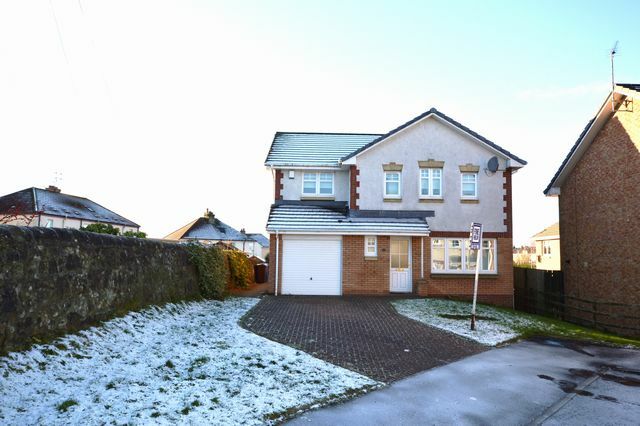 Nearest train station at Paisley Gilmour Street and Barshaw Golf Course/park nearby.